Science kits are a great way to keep kids busy while reinforcing and building upon core science skills they are learning in school. They are also a great way to bring learning into the home, and make science fun, active, and tangible. 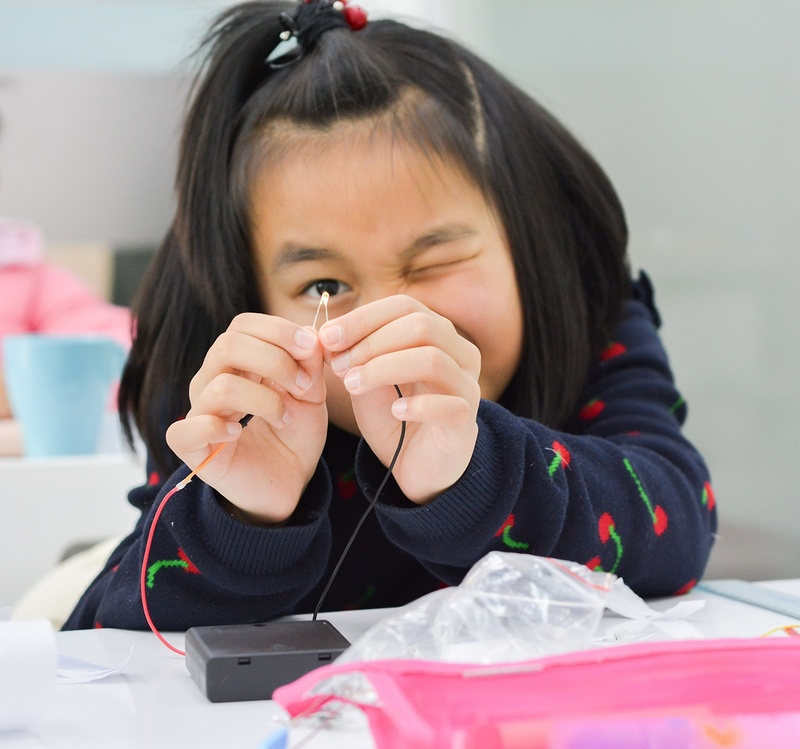 We have compiled a list of our best boredom busting science kits that will entertain kids of all ages for hours (if not days). This award-winning robot is just so cute. 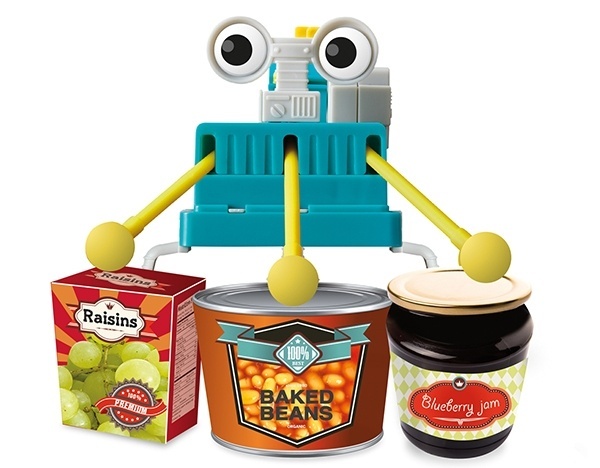 Kids will turn cans, jars, and boxes into their very own drum set! Assemble the robotic drummer, arrange a unique tune and beat, and make anywhere a live concert! 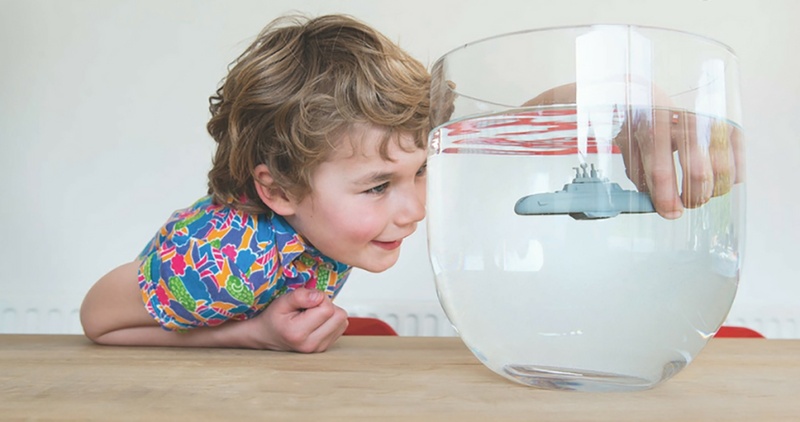 Teach children about chemical reactions as they watch the submarine dive and resurface with the help of baking powder. 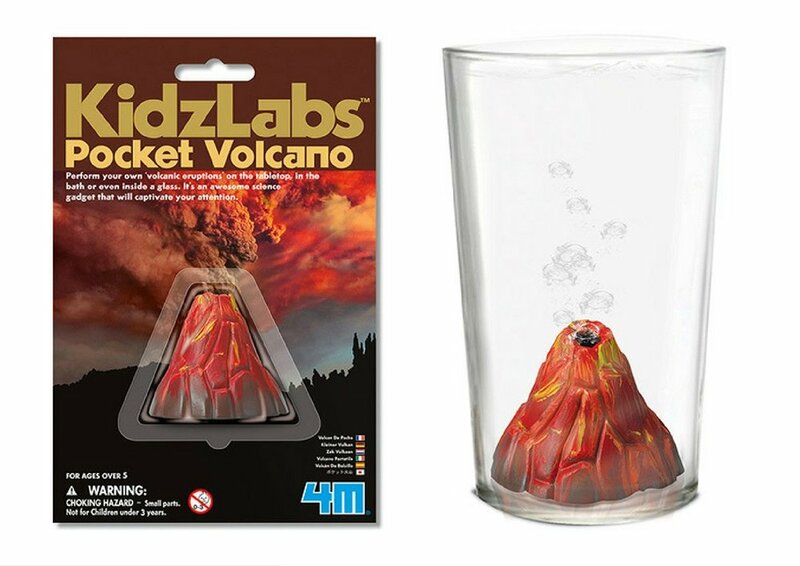 Perform your own ‘volcanic eruptions’ on the tabletop, in the bath, or even inside a glass. 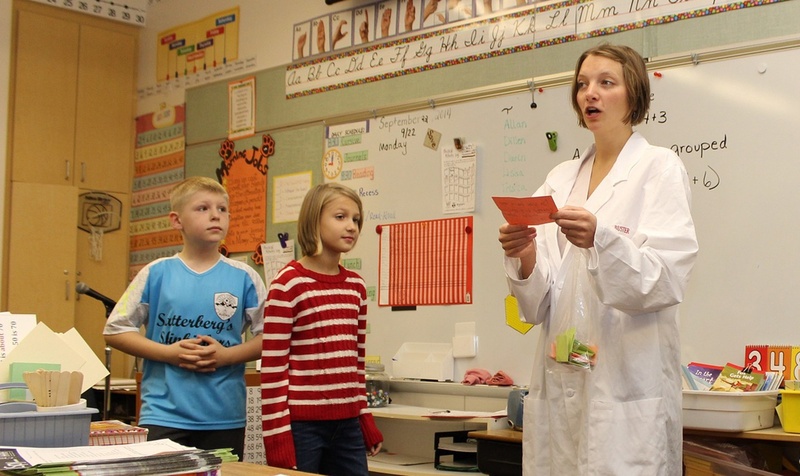 It’s a pocket-sized science gadget that will captivate young and old. 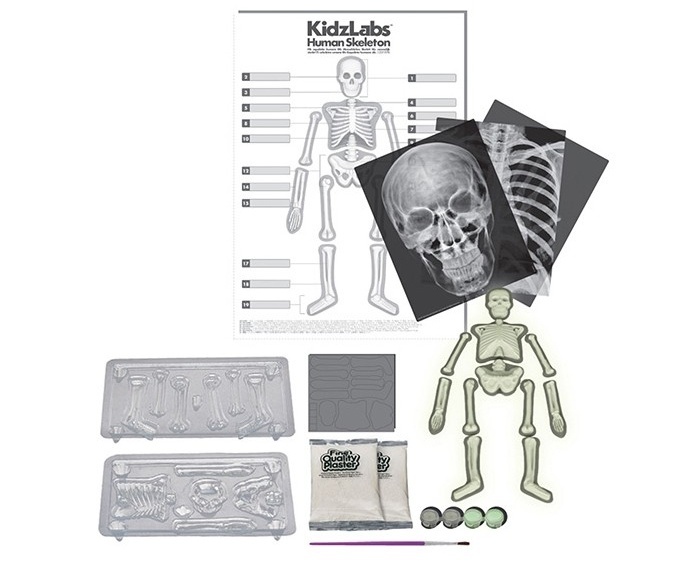 This kit lets kids build a full human skeleton out of plaster. They then paint the bones with glow-in-the-dark paint, and put them order using their scientific names. 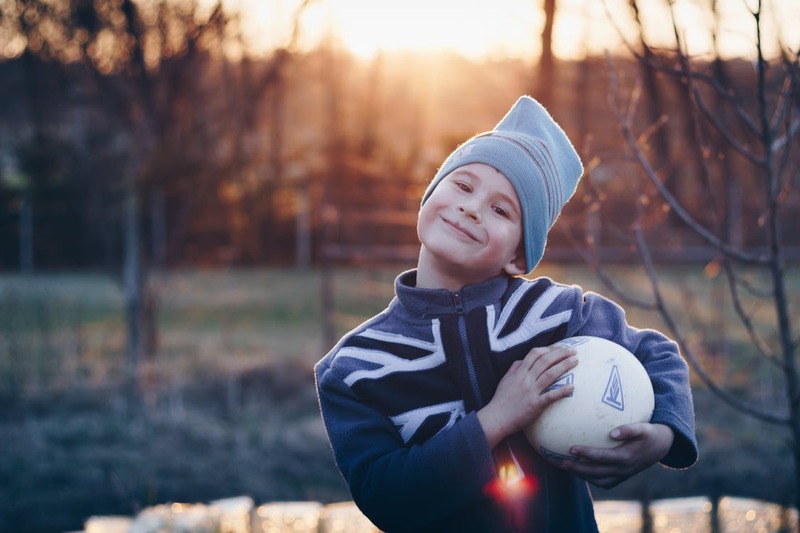 This is a great way to learn about how the skeleton supports our body, and a fun way to remember the difference between a tibia and a fibula. Watch how a race car moves without batteries or a driver! Learn about the mighty power of magnets and how one can be used to drive the race car all over the house. 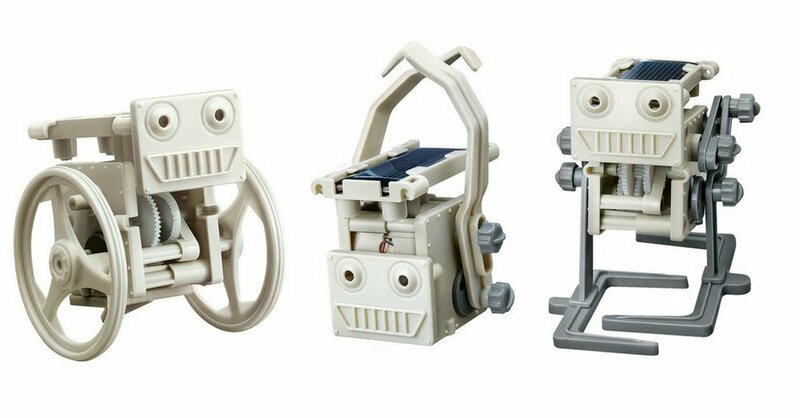 This kit makes three different solar-powered robots that can climb a rope, walk, and run. An amazing introduction to robotics and building. Wind up the rover gear and let it go on the fridge. Watch the little car grip and go up on the fridge surface, defying the force of gravity. This little science gadget is so fun to watch! Create your own surprising pool of quicksand that will engulf your dinosaurs! Experience the mystic power of watching dinosaur skeletons sink slowly beneath the sands. Have even more fun unearthing them later for assembly, or make the volcano erupt. The entire thing creates a cool prehistoric diorama when put together! Build this Solar Powered aircraft mobile, then put it in the sunlight and watch it glide around on its own. This kit is easy to assemble and requires no batteries, just sunshine! 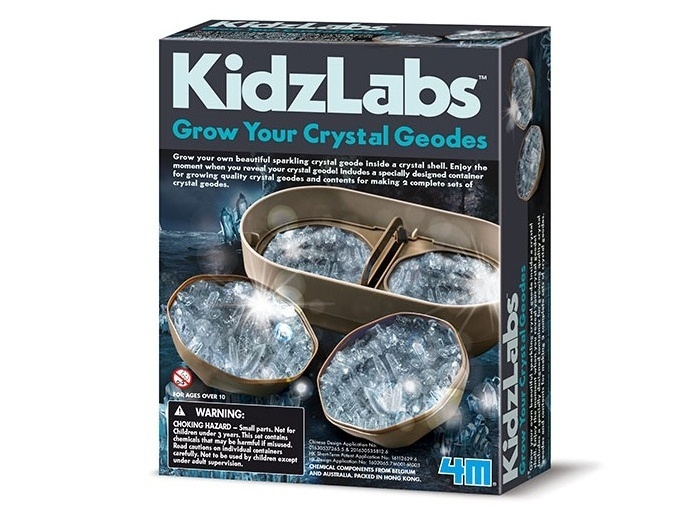 Grow your own beautiful crystal geodes with this fun and exciting chemistry experiment. Kids will want to come back over and over to see how much their crystal has grown.